3-Hydroxy-propeneselenal; conformational analysis; NMR; AIM and NBO analysis. In the present work, a conformational analysis of 3-Hydroxy-propeneselenal is performed using several computational methods, including HF, DFT (B3LYP), and G2MP2 levels of theory. The relative electronic energies, the molecular structure, and intramolecular hydrogen bond energies are reported. Twenty different conformers were obtained, the most stable ones being planar. The conformational preference of this molecule was found to be mainly determined by the formation of Se…H-O and Se-H…O intramolecular hydrogen bonds, which are assisted by 𝜋-electron resonance. The atoms in molecules (AIM) theory of Bader, which is based on topological properties of the electron density, was used to analyze critical points and to study the nature of hydrogen bonds in these systems. 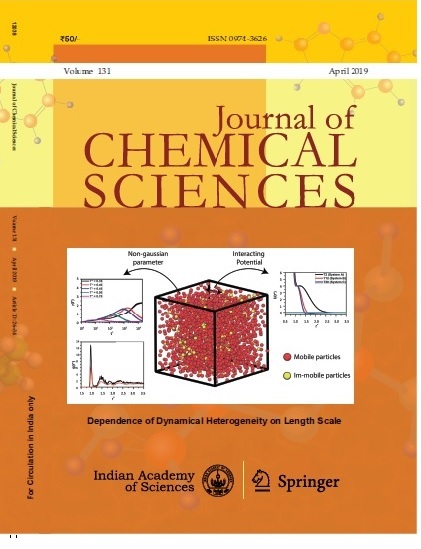 NMR and natural bond orbital (NBO) analyses were also performed for a better understanding of the nature of intramolecular interactions in 3-Hydroxy-propeneselenal. Furthermore, calculations for all the possible conformations of the title compound in solution were also carried out at the B3LYP/6-311++G(d,p) level of theory (in three models such as polarizable continuum model (PCM), IEFPCM, and self−consistent isodensity polarized continuum model (SCIPCM).